U-Boards products are manufactured according to international standards. Fiber cement boards are manufactured from cellulose fiber, portland cement, quartz sand, additives and water; It is non asbestos, formaldehyde, benzene and other harmful substances and with excellent physical and chemical characteristics. These baords are non combustible, fire and water resistant, green and environmental friendly, highly efficient and energysaving. fascias, soffit, shaft-liner & area separation, wall sheathing,and as tile backing (backer board) or as substrates for coatings and insulated systems such as Finish Systems. It is suitable for a wide range of general building uses and for applications that require fire resistance, mold and mildew control, as well as sound control applications and many other benefits. Magnesium oxide board are available in various sizes and thickness. It is not a paper faced material. Calcium silicate board reinforced with selected cellulose fibers and fillers. It is 100% free from asbestos, sepiolite, inorganic fibers or formaldehyde. 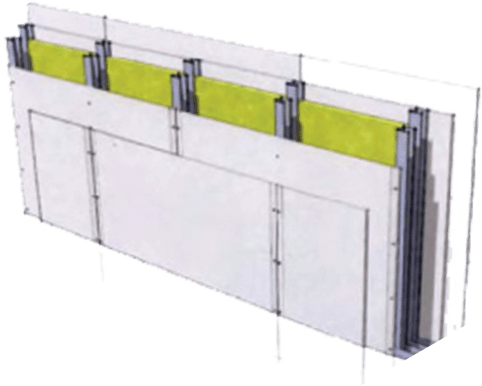 The board is versatile and suitable for use in a wide range of internal and semi exposed external applications in building construction projects. Calcium silicate passive fire protection board being clad around steel structure in order to achieve a fire-resistance rating. It is an economical building board material with fireproofing perty to replace concrete or block wall for the construction of NON LOAD BEARING ELEMENTS.